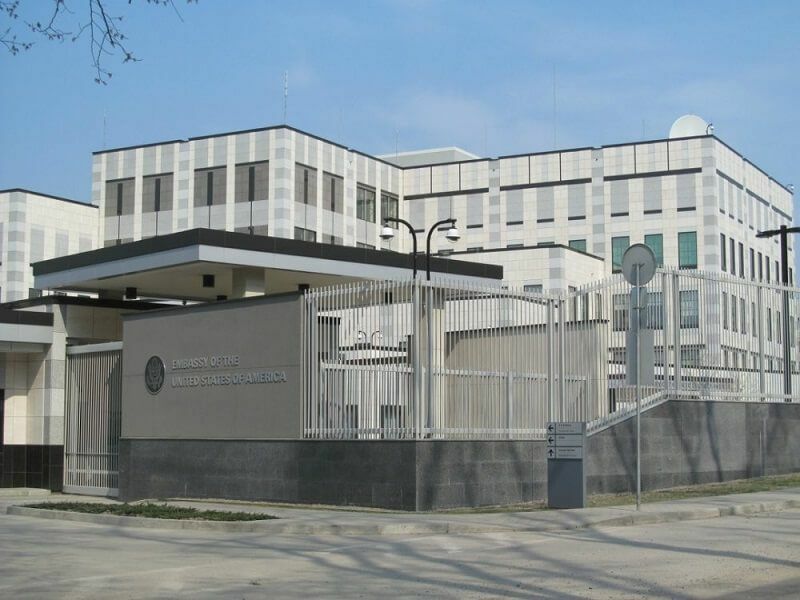 U.S. Embassy in Ukraine not considering night explosion "terrorist act"
The Embassy of the United States of America in Ukraine does not consider the night explosion a terrorist act, according to a statement provided to UNIAN by embassy spokesman Geoffrey Anisman. "We can confirm that there was a security incident involving a small incendiary device shortly after 12 a.m. June 8 at the Embassy compound," the statement says. "There was no damage to Embassy property. No personnel were injured. All Embassy operations are continuing as normal. At this time, we do not consider this incident a terrorist act. The Embassy is working closely with our local partners, and the investigation is ongoing," the press attache said. As UNIAN reported earlier, Kyiv Police Department said the explosion on the territory of the U.S. Embassy in Kyiv had taken place around midnight. The law enforcers qualified the incident as a terrorist act.